What two posts in two days havent done that in a while ! There I was whingeing as usual and saying my muse had ” done a bunk ” and she upped and appeared !!! Cleaning out the craft cave certainly helped ! 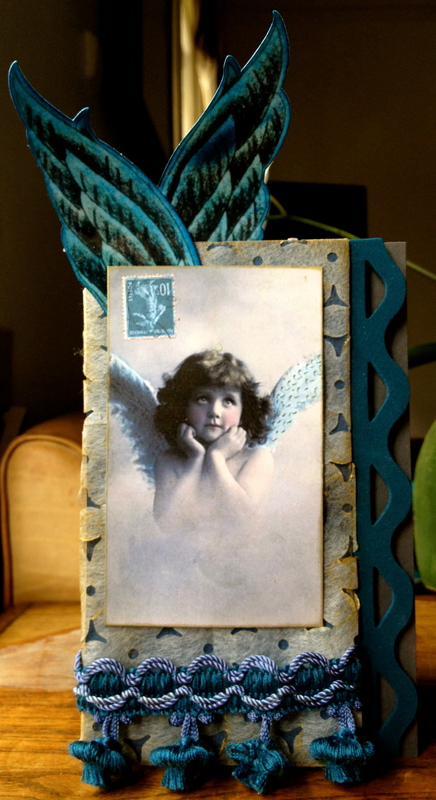 So I thought I would share the card I made for Make My Monday lots of lovely blogging friends on the DT here. They are asking us to create a card with any flower and music the flower being the main focus, just as well as you can hardly see the music on mine ! 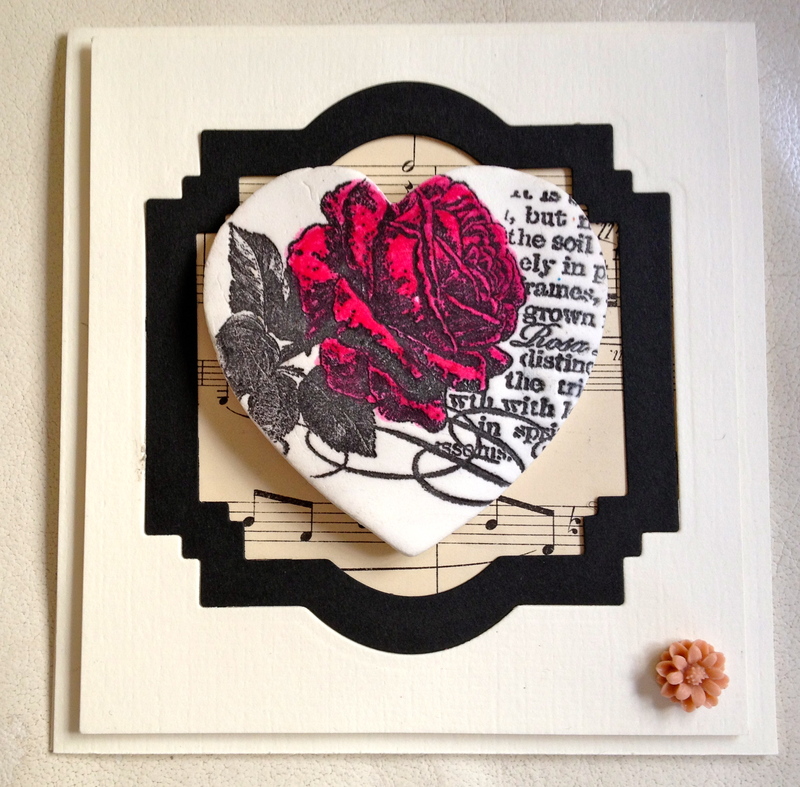 I made a heart out of air dry Fimo and stamped with this Penny Black stamp while still moist, when dry I coloured the heart with one of my Letraset markers. 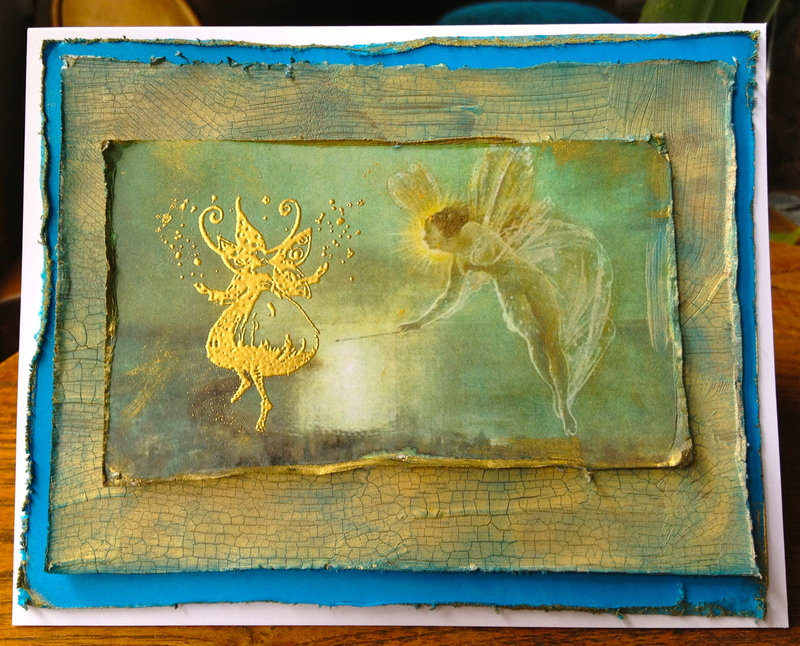 The aperture was cut with spellbinders frames and backed with some lovely old music paper. The little gem is made using one of my silicone moulds. I stamped a border of music notes inside the card and forgot to take a photo duh !!!! A close up to show the dimension of the card and my terrible colouring in ! Why not pop over to Make My Monday to see the fabulous inspirational work by the lovely and talented design team. How time flies !!! 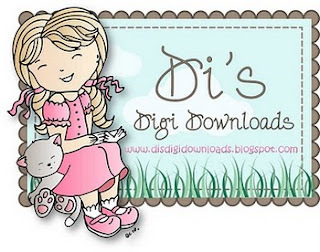 its time for our fortnightly challenge over at Crafty Cardmakers. The lovely Mynnette is our host ( happy birthday for yesterday )and she is asking us to create a card incorporating balloons of any description!! such a fun theme I’m sure you will agree. 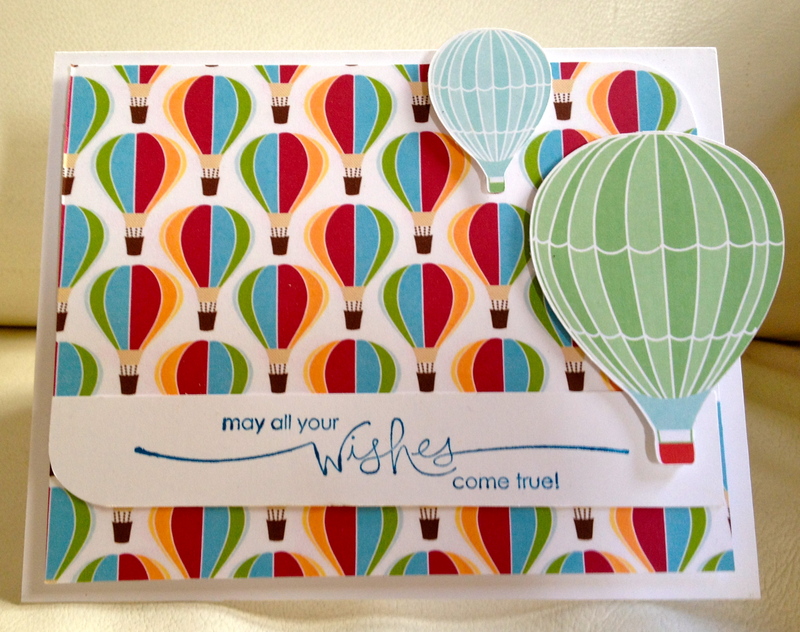 Pop over to Crafty Cardmakers for all of the details. 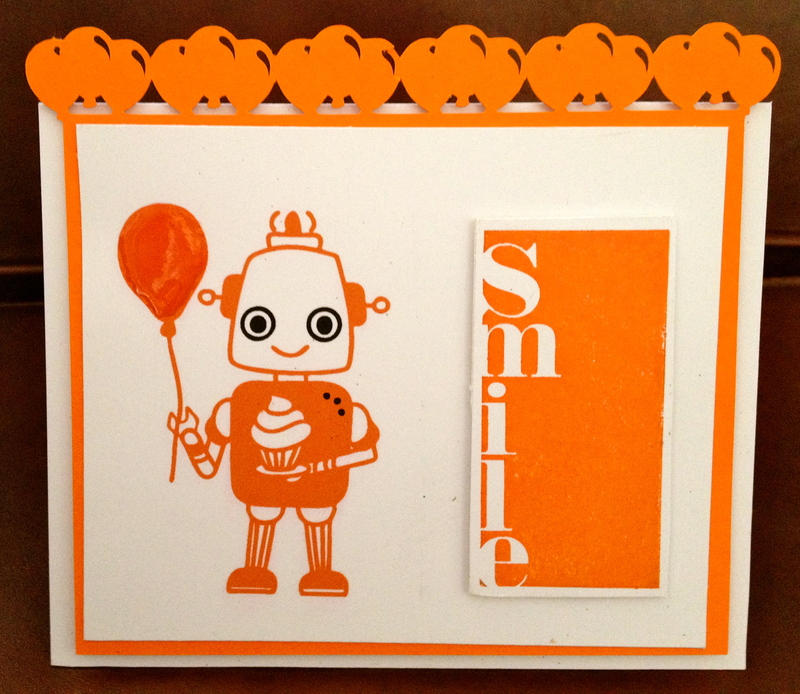 I enjoyed the theme so much I made a second card , another simple one again using my Cameo to create the robot and the balloon cut outs, added some glossy accent to the balloon and using the smile stamp I bought for a pound at Aintree inked it up with SU Pumpkin Pie. We are kindly sponsored for this challenge by The Stampman (and Lady of course!) who are offering the winner a £10 voucher for their store, you can spend this online, in the shop or if you’re lucky enough to see them at a show! They have a ton of items in store, enough to tickle any crafty taste bud. Since I came back from the UK stash laden I have been finding it hard to get motivated !! I bought so much I dont know what to do with it ,where to put it and why I bought most of it ! The same thing happened last year and it took me a while to get back into the swing of things having room to store most of it would be a great start !. Some good news I am now in possession of my brand spanking new I Pad 3 so all is right in Maries little world !! 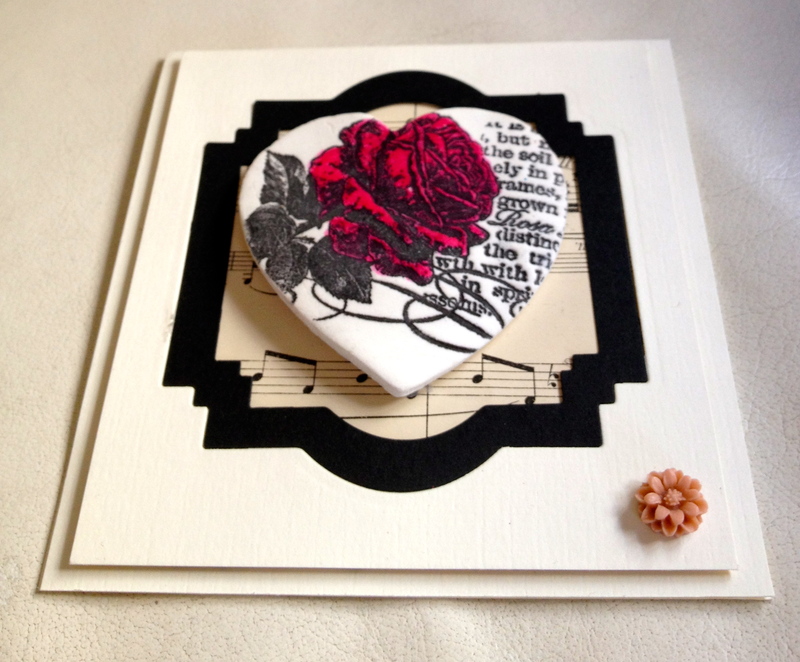 Do pop over to Crafty Cardmakers to see what the other members of the Dt have created to inspire and delight you all ! you have two weeks to upload your creations and to be eligible for the wonderful prizes supplied by our very generous sponsors.